1. Soak the lotus slices in cold water for 10 minutes and drain. 2. In a large saucepan over high heat, warm both oils. 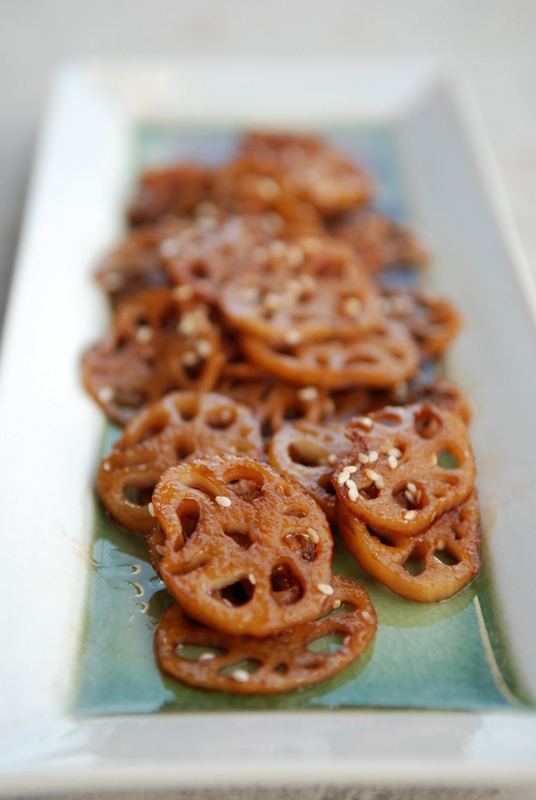 Once hot, add the lotus root slices and cook until they become soft. Stir in the mirin, soy sauce/tamari and reduce heat to low. Simmer until the marinade has almost disappeared. 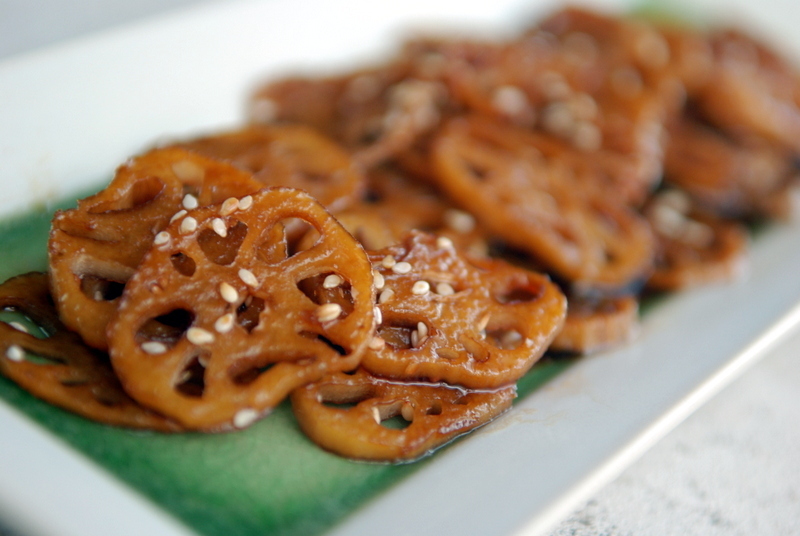 Remove from heat, sprinkle with sesame seeds and shichimi togarashi prior to serving. According to that article I am the worst food blogger known to man. I just want to cook… the photography part is such a pain. LOL! This looks incredible though. I’ve only eaten it out at restaurants, but I did finally find the Asian market here. May need to give it a go! 🙂 My “9 things” says more about my obsessions than your blog cred! Keeping it simple and real always works! Well, I’m in trouble as a food blogger too! I don’t have any props per se – I use all the regular dishes I have in my kitchen in my photos. 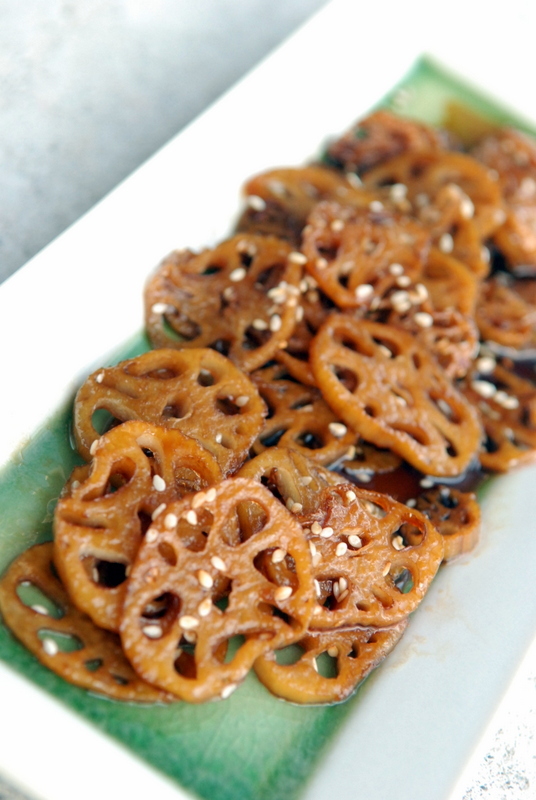 This recipe looks delish – I’ve never cooked lotus root, but I really like it! Just gorgeous! I think I need to do some lotus root recipes just for their prettiness. 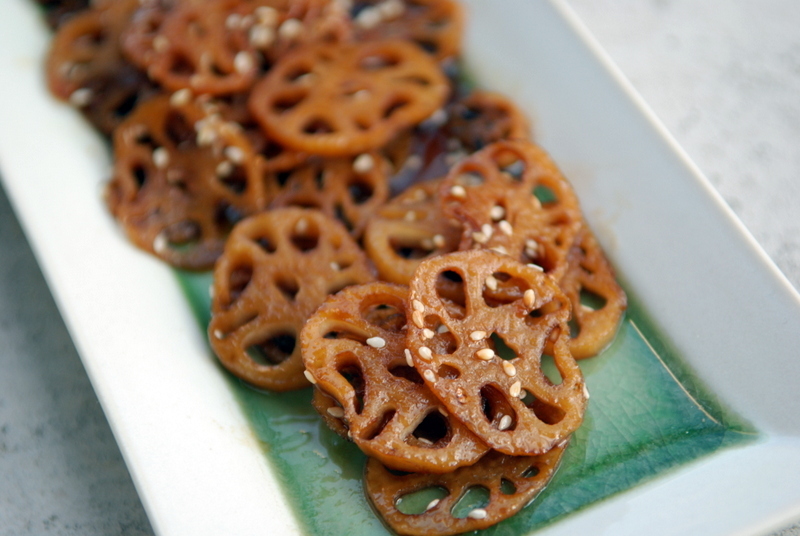 I haven’t tried lotus root yet – I like the way you prepared it.